This trail winds around Lake Irene in Rocky Mountain National Park, then bends into the trees. 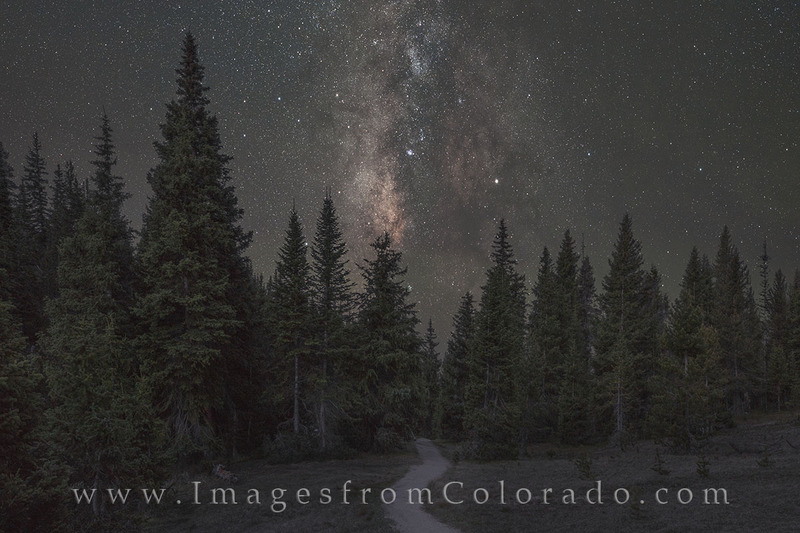 In June, very early in the morning, the Milky Way looms majestically over this path. Photo © copyright by Rob Greebon.